NoiseQuest is your source for information on aviation and airport noise. Our goal is to improve the relationship between airports and their surrounding communities. Where Does the information on NoiseQuest come from? 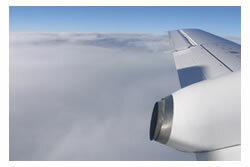 This website was developed to provide educational information on aviation noise. The initial site development was supported by the Federal Aviation Administration through the PARTNER Center of Excellence under grants to researchers at The Pennsylvania State University and Purdue University. The ongoing development and enhancement of the NoiseQuest site is supported by the Federal Aviation Administration through the ASCENT Center of Excellence under grants to researchers at The Pennsylvania State University. Any opinions, findings, conclusions, or recommendations expressed in this material are those of the author(s) and do not necessarily reflect the views of the Federal Aviation Administration, or NASA. Please review the full NoiseQuest site disclaimer for more information. The development of this site is one of the research efforts being conducted by researchers from the Aviation Sustainability Center, or ASCENT, the FAA Center of Excellence for Alternative Jet Fuels and the Environment. ASCENT is a leading aviation cooperative research organization, and an FAA/NASA/Transport Canada-sponsored Center of Excellence. ASCENT fosters breakthrough technological, operational, policy, and workforce advances for the betterment of mobility, economy, national security, and the environment. See ASCENT for more information on the ASCENT Center of Excellence. Harris, Miller, Miller, & Hanson Inc.